You no longer have to guess at what life insurance will cost you or which companies have the lowest rates! Simply enter your date of birth and home state with our free quote engine and have instant free quotes from hundreds of top companies. No one will contact you unless you request us to. When you are ready to apply, simply click on the "apply now" button or call us directly at (800) 818-2420. There is NEVER any fee for our professional help. 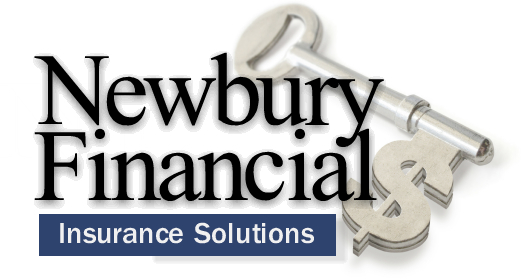 At Newbury Financial, we keep insurance simple. Click Here to see the rates from dozens of the top term life insurance companies based on your age. Or use the simple quote tool on this page for simplified issue Whole-Life Insurance Quotes from leading whole-life insurance companies. "Since I had cancer several years ago I didn't think I could even get approved with life insurance. Scott Burke at Newbury Financial found a company that approved me for $250,000 at a very good rate. That gives my wife and I a lot of peace of mind." "Scott Burke was very informative and helpful when I was shopping for the lowest term life insurance. The instant rate quoter on their website allowed me to instantly get the exact information I wanted. It really couldn't be easier and the rates were less than half what I had been quoted by another agent." Whether you want the lowest priced term life insurance quotes or permanent whole-life protection, we have the plans to fit your needs. We don't work for any one insurance company, we can give you impartial guidance and rates from dozens of the top life insurance companies which will help you save money. The key to saving on life insurance is to be able to easily compare the rates with dozens of companies. Once you select the amount you want and which companies you like, we help you with the underwriting details and make your insurance protection simple to obtain. And there is NEVER any charge or fees for our expert assistance.